Text marketing is all about building a strong list to send your offers too. So its no surprise that you want to do all that you can to build that list. Its far better to have 2,000 people on your list than just a handful. There are numerous places where advertising your text marketing list is not only easily but beneficial as well. Keep in mind that it does take a bit of time, and always patience, to build you list. Use the following 10 places to advertise your marketing list and that time will come sooner than what was anticipated. Of course there should be a notice of your text marketing list on your website. Those who visit will easily see it and will want to join. You can easily write an entire blog about your incentive offer, your business, etc. and advertise your text marketing list, too. This is a double beneficial advertising technique because you have the chance to provide consumers with knowledge, too. Add your text marketing information to the business card, and hand them out to everyone that you see. Business cards are affordable and fun, plus they are easy to customize so there is nothing for you to lose. If your store has a physical location, be sure that you place ads for the text message marketing program on the inside as well as on the outside as well. If you’re sending out an email newsletter (or even a printed one) use this as a means of advertising for your text message program as well. It is affordable to purchase or create fliers or postcards that you can send out to those on your mailing or email lists which will also be useful in notifying of the marketing program you have going on. Everyone is on social networking sites like Facebook, Twitter and Instagram, and this means an awesome platform for you to gain a lot of attention quickly. A quick status update or tweet is all that it takes to tell many people of your list and spread the word quickly. Those businesses that use menus can easily place ads where they’re visible for all to see. Sales papers, if they are used, are also great sources of advertising your text marketing list. Placing a graphic ad in the newspaper is another way to advertise. Although this is one of the lesser used methods these days (thanks technology) missing out on newspaper advertising could result in missing out on many customers. 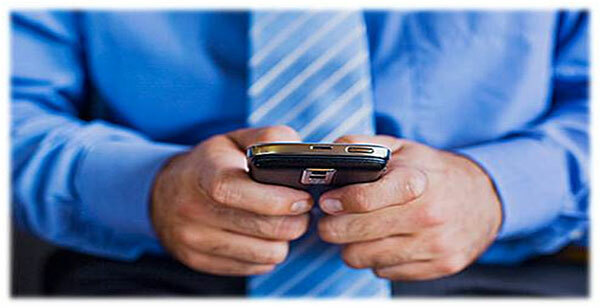 A low-cost text message marketing ad in the paper could provide superior results! If you have it within your budget, turning to radio and TV are good ways to quickly spread the word about your company while also advertising the text message marketing campaign. Radio ads are usually more affordable than a TV ad, so keep this in mind if you are on a right budget. Although not all methods may be available to all business owners, most are versatile and can be used and enjoyed by all. Text message marketing really works and it’s been proven time and time again. It is within your best interest to begin using as many of these marketing methods as you can to build the biggest list possible and get the results that will help your business grow.